When it comes to buying a flat screen TV for the home, you need to remember that you get what you pay for – it is definitely an investment on your part, so putting in the extra money for a premium quality TV is definitely worth it. Especially with the digital switchover now fully in effect and most media supporting High Definition, it only makes sense to get a future proof TV which will last you a good long time – and this Panasonic TX-P50VT30B is one of the best options for 3D TV lovers. Two things make a great deal – the quality and the price. While the quality is definitely inherent in here, the deal is also amazing. 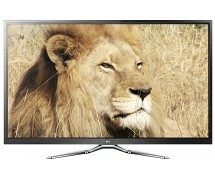 It is an exciting time because at the moment you can get this TV fairly cheaply. Currently, electricshop.com is selling Panasonic TX-P50VT30B for £999.95 which is the lowest price for this product on the market, making it a real must-buy, saving you £520, a whopping 34% of the total price. As a bonus, two pairs of Active 3D Glasses are included in the price, so you can start to experience Full HD 3D in the best possible way. In addition, since TV is a long-term investment, electricshop.com currently has a special half price 5 year warranty offer for all TX-P50VT30B buyers. 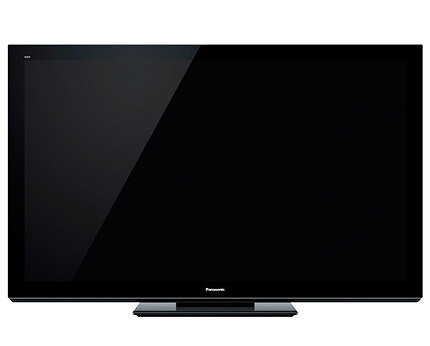 Any Panasonic TV is generally a good buy, and this Panasonic TXP50VT30B is perfect in many ways too. Firstly, as can be seen in the top picture and the bottom review video, it looks absolutely stunning . Its innovative 50 inch screen makes film watching a humbling experience due to Panasonic’s NeoPlasma Technology that allows to produce InfiniteBlack Pro contrast making blacks blacker than ever, colours highly vibrant and picture ultra crisp. In general, the whole HD Video watching experience on TXP50VT30B is cinema-like or even better. 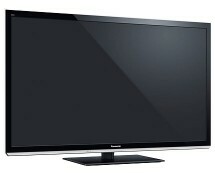 Secondly, Panasonic TXP50VT30B is a sophisticated Full HD 3D TV. This model uses fast switching phosphors that ensure clearer 3D videos and more comfortable viewing comparing to other TVs. Some people complain that there is not enough of 3D content around. This is not an issue with this Panasonic TXP50VT30B because it not only allows you to watch dedicated 3D high definition movies, but also can convert pretty much any existing 2D content to 3D so that you could re-explore your old videos in new dimension. Furthermore, since this Panasonic is a Smart Viera TV, it has a wide variety of useful pre-installed apps on it. For instance, these include BBC iPlayer, Acetrax Movies, YouTube and other Video on Demand services as well as Skype, Facebook and other social networks. 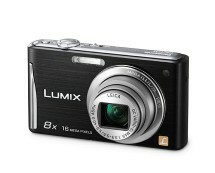 Also, Panasonic TXP50VT30B supports USB and SD Card Recording and Playback. In words, thanks to global format support, you can play most of the video, audio and image files directly from your portable storage device such as USB flash drive. What is more, you can even watch your old 2D videos that you store on your Digital Camera’s SD card directly on your 50inch TV in amazing 3D. That’s a sweet feature to have, isn’t it? Some of the Smart Viera features are summarised in the following video. 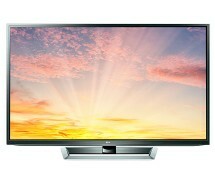 Overall, Panasonic have designed an impressive product both with beautiful looks and high-end specifications. So, if you are looking for a large flat screen TV that produces superb quality picture, has innovative 3D technology and a bunch of great features, then Panasonic TXP50VT30B is definitely a TV to consider (especially for the price). Please note that Panasonic’s wireless dongle and dedicated web camera are sold separately.